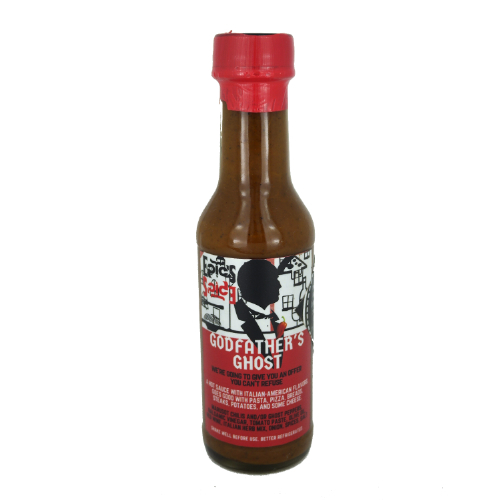 Our premium blend hot sauce with a medium to strong heat, this hot sauce tastes like a pizza or pasta sauce, but would also work as a steak sauce. This sauce is a mix of Ghost peppers and local Marusot peppers (sileng demonyo) blended together with balsamic vinegar, reduced red wine, tomatoes, and a mix of Italian herbs, garlic and onion sautéed in Extra Virgin Olive oil. Goes best with Italian pizza, spaghetti Bolognese, lasagna, steaks, kaldereta, pot roasts, roast chicken, grilled salmon, cheese, breads, etc..